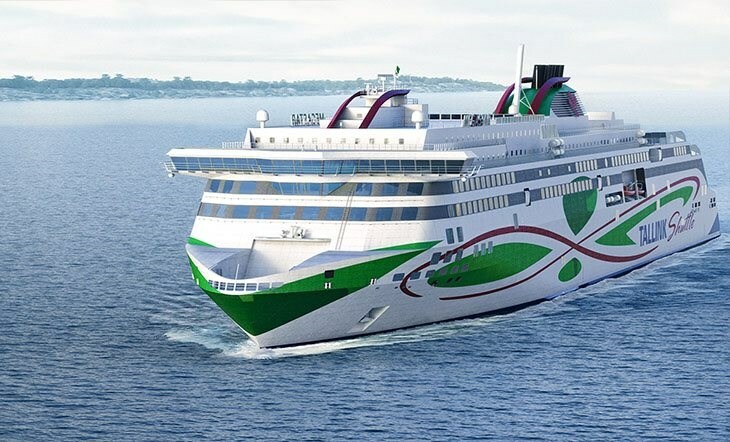 Tallink Grupp and Rauma Marine Constructions (RMC) have signed a Letter of Intent for the construction of a new LNG-powered shuttle ferry for the Tallinn-Helsinki route. The estimated cost of the project is approximately 250 million euros and the new vessel will be built at the Rauma shipyard in Finland. The construction of the ship is expected to be completed by the end of 2021. The new ferry will be dual fuel operated, using LNG as its main fuel and will have capacity for 2,800 passengers. It will start operating on the Tallinn-Helsinki route, further developing this important route between the two capital cities. The ferry will be built using all the latest technologies and the most innovative solutions available and the group’s aim is to build the most energy efficient and environmentally friendly vessel operating on the Baltic Sea. “Tallink Grupp has put a great deal of resources and effort into developing the Tallinn-Helsinki route for decades. With the launch of the shuttle service over ten years ago, we have built a bridge between the two capitals, offering year-round frequent departures and thus bringing the two countries closer together. The next step on our journey is the continuous development and improvement of that service,” said Tallink Grupp’s CEO Paavo Nõgene. “We are very pleased to announce that Rauma shipyard’s shipbuilding tradition, together with Tallink, will continue with RMC’s building of a new shuttle ship. This is an opportunity for us to utilize our longstanding experience and to help steer the ship traffic between Finland and Estonia in a more environmentally friendly direction,” said Jyrki Heinimaa, CEO of Rauma Marine Constructions.